He and his friends called it “Custer luck.” He could laugh about it because he possessed it in abundance. Bullets literally bounced off him during the Civil War — he would’ve been hard to miss as he led from the front on horseback and sported a gaudy get-up. But he survived the war a Union hero, his romanticism about conflict largely intact, and found more celebrity on the frontier in the US 7th Cavalry during the Indian Wars of the late 19th century. It was a turn of infamous bad luck that finally did in George Armstrong Custer. Outnumbered and surrounded by a force of Lakotas and Northern Cheyennes, Custer and over 200 troops were wiped out on June 25, 1876 at the Battle of Little Bighorn. “Custer’s Last Stand” remains a legendary and much-analyzed defeat; and the man at its center has gone down in history as an arrogant fool who blundered into a rout, carrying out genocidal policies of the United States as it drove America’s indigenous peoples to near extinction. In a biography of stunning richness and sophistication, Pulitzer Prize winner T.J. Stiles turns the focus squarely on Custer and away from the grim terminus that has defined his legacy. Whether “Custer’s Trials: A Life on the Frontiers of a New America’’ redeems its subject is another question — Custer is just too polarizing a figure. But Stiles brilliantly puts flesh and bone on what has become a cultural stick figure. What shines through here is the image of a troublemaker who could never quite manage his life off the battlefield. 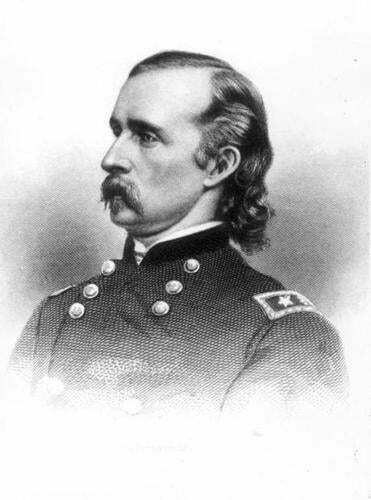 The Ohio-born Custer was a cut-up at West Point, earning more demerits than anyone in his class and surviving a court martial. The Civil War saved him, though it also showcased his off-key politics. Custer was a Union man — up to a point. He first served on the staff of General George McClellan, a bad and arrogant general whose contempt for Abraham Lincoln bordered on treason. Like McClellan, Custer fought to preserve the Union, not to end slavery. But the young officer made the right abolitionist noises to important Republican figures of his adopted state of Michigan. He led the Michigan Brigade, and his renown soared after Gettysburg. Bad judgment punctuates Custer’s life from start to finish, but in battle, his vision, planning, and leadership were breathtaking. “He displayed his fluency with the mechanics of command under fire, smoothly directing the movements of batteries, squadrons, and companies.” The “Boy General of the Golden Locks” led one of the war’s few successful cavalry charges. He admired Southern chivalry, saluting his enemies (many of them former classmates) by doffing his hat. Yet Custer’s questionable instincts always threatened to undo his success. He sided with President Andrew Johnson as he tried to limit the expansion of rights to ex-slaves. He regularly flouted the Army chain of command and horsewhipped men under his command, behaviors which lead to a second court martial in 1867. Stiles vividly locates Custer in the roiling world of post-Civil War America. He also beautifully evokes the story of Custer’s wife, Libbie, and the ex-slave turned cook Eliza Brown, who went to work for Custer during the war. Custer looked both forward and back, unable to find a secure footing in a world becoming more corporate, industrial, and scientific. The author of lauded lives of Jesse James and Cornelius Vanderbilt, Stiles writes with flair and his research is spot on. But he’s also an overwrought scene setter with a weakness for laughably overblown prose. (E.L. James, eat your heart out: “So began his siege of her doorstep, his patrol of her routine, his penetration of her diary.” ] Still, this gripping account surges along, with one of American history’s most flawed, intriguing characters confounding you at every turn. Custer rejected the cause of Reconstruction and worked against the Grant administration; he gambled recklessly, flirted incessantly with other women, and shamelessly cultivated his legend in his writings. But his military exploits always bailed him out. Stiles ably deals with the contentious politics of US government policy toward Native Americans. Custer’s tactics, which included surprise attacks on sleeping villages, are tainted with charges of atrocity. But Stiles correctly notes that Custer did what other commanders also did. “The very existence of the United States was predicated on the dispossession of the indigenous. If Custer was wrong, ultimately it was because the nation was wrong,” he observes. Some readers will be baffled by Stiles’s decision not to dive into the events of Little Bighorn, which are relegated to an epilogue. But what came before is worthy of the author’s deeply considered and impressively rendered judgments.